Learn about injection moulds: it is advisable to obtain the design surface of the injection mould, analyze it in detail, and have the injection mould engineer take part in the trial work. First check its mechanical cooperation on the workbench: should pay attention to whether there are scratches, missing parts and loose, whether the mould to the slide action is true, whether the water pipe and air pipe joint leakage, if the injection mould opening if there is a limit, it should be marked. 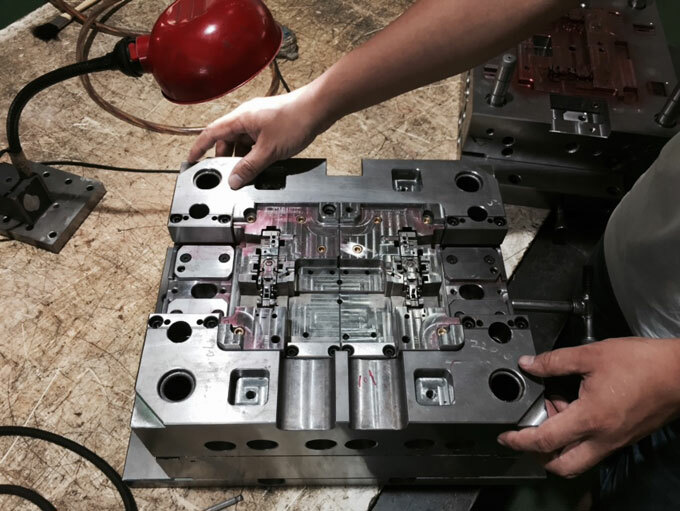 If the above action can be done before hanging the injection mould, it can avoid the problems found when hanging the injection mould, and then the man-hour waste that occurs when the injection mould is removed. When it is determined that the movement of each part of the injection mould is completed, it is necessary to select an appropriate injection moulding machine. When hanging the mould, it should be noted that before locking all the clamping plates and opening the mould, do not remove the rigging and prevent it from falling due to loose or broken clamps. 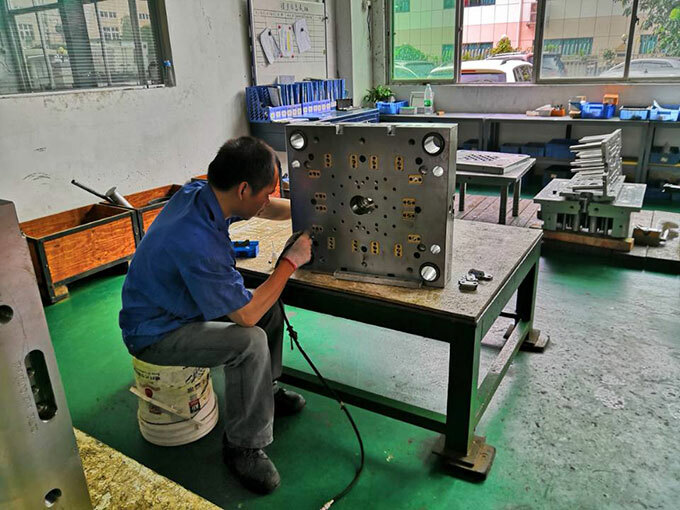 After the mould is installed, the mechanical action of each part of the mould should be carefully checked, such as whether the action of the slide plate and the ejector pin is correct, and whether the nozzle is aligned with the feed port. When closing the mould, the mould closing pressure should be lowered. Attention should be paid to watching and listening to any movements and abnormal sounds in the manual and low-speed mould closing operations. The process of lifting the mould is actually quite simple. The main thing to be careful is that the mould gate and the center of the nozzle are more difficult. Usually, the center can be adjusted by means of a test strip. Select the appropriate mould temperature control machine to increase the temperature of the mould to the required temperature during production. 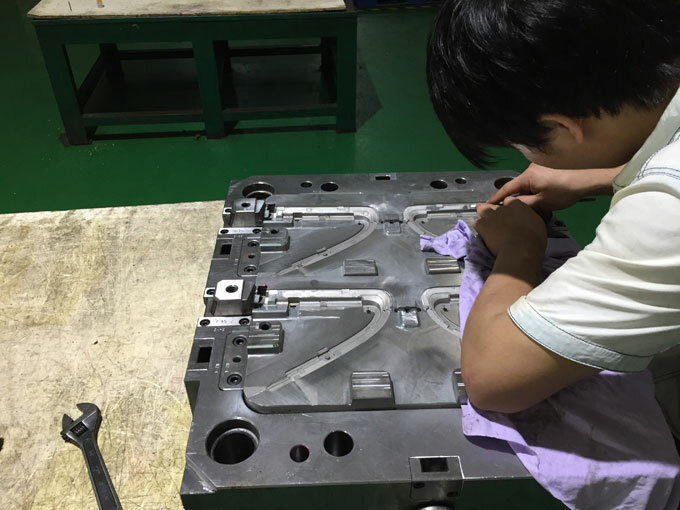 After the mould temperature is raised, the motion of each part is examined again. Because the steel may cause a die-cut phenomenon due to thermal expansion, attention must be paid to the sliding of each part to prevent the occurrence of strain and chatter. If the injection mould manufacturer does not implement experimental planning rules, we recommend adjusting only one condition at a time so as to distinguish the impact of a single condition change on the finished product. After the above steps are checked, the safety buckle and the top stroke should be set. Whether the feeding trip is too long or not sufficient. Whether the pressure is too high or too low. Whether the filling speed is too fast or too slow. 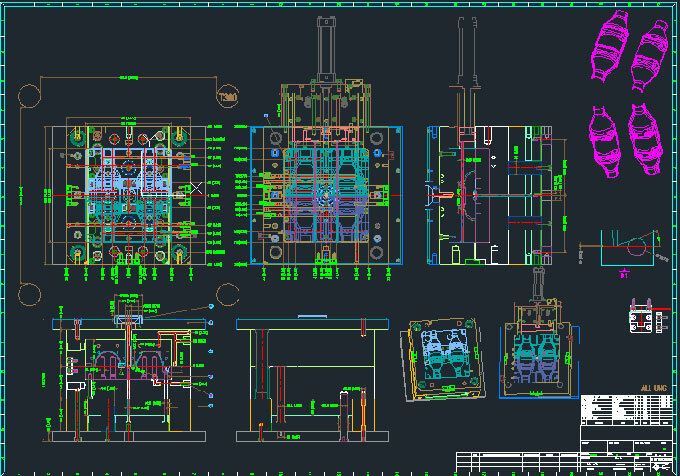 Whether the injection mould processing cycle is too long or too short. If the processing cycle is too short, the ejector pin will go through the finished product or peel the ring to crush the finished product. If the processing cycle is too long, the weak part of the injection mould core may be broken due to shrinkage of the rubber compound. Taking full consideration and measures in advance can prevent problems such as crack, deformation and flash of finished products, and avoid serious and expensive losses. 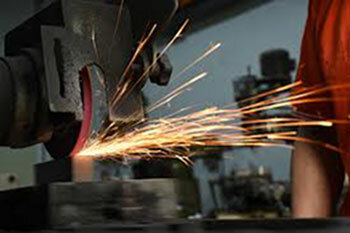 Check whether the raw materials in the cylinder are correct and whether it is baked according to the regulations. The material pipe should be cleaned to prevent miscellaneous material from being injected into the mould and the mould should be stuck. Check whether the temperature of the feed pipe and the temperature of the injection mould are suitable for the processed raw materials. Adjust the pressure and shot volume to produce a finished product with satisfactory appearance. Be patient and wait until the conditions of the injection mould machine and the injection mould are stabilized, that is, the medium-sized injection mould machine may have to wait for more than 30 minutes. You can use this time to view possible problems with the finished product. The advancement time of the screw must not be shorter than the solidification time of the gate plastic, otherwise the weight of the finished product will be reduced to impair the performance of the finished product. And when the mould is heated, the screw advance time also needs to be lengthened in order to compact the finished product. Reasonably adjust the total processing cycle. The newly adjusted conditions shall be operated for at least 30 minutes until they are stable, and then at least one dozen full-model samples shall be continuously produced. The date and quantity shall be marked on their containers. When the sample is cooled to room temperature, the sample is measured and pay attention to whether the size of the product is stable and whether the dimensional change is within the tolerance range. Record the number of cavity points that are continuously larger or smaller than the average to check whether the size of the injection mould is correct. The unreasonable injection mould design makes the number of trials increased, which increases the investment in injection moulds. In addition, it will also extend the injection mould cycle.